Johan Kristoffersson (PSRX Volkswagen Sweden) is breaking the records at every World RX event he attends. This weekend, the Swedish rallycross driver and the reigning world champion made a step further towards his second World RX title with the sixth win in a row and the eighth victory in the 2018 World Rallycross Championship season. 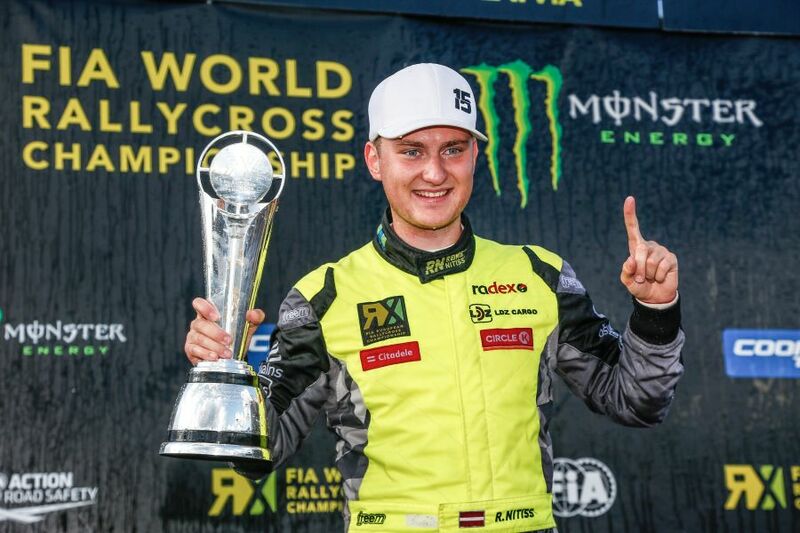 He did that at Neste World RX of Latvia, the ninth round of the season which took place at Bikernieki stadium at Riga. Behind Kristoffersson’s #1 Volkswagen Polo, Mattias Ekstrom (EKS Audi Sport) took the second place in the #5 Audi S1 and jumped to the second place in the championship. Sebastien Loeb (Team Peugeot Total) finished third in the #9 Peugeot 208 at Latvian finale. The other finalists were Niclas Gronholm (GRX Hyundai, 4th), Timmy Hansen (Peugeot, 5th) and Kevin Hansen (Peugeot, 6th). In the championship points, Loeb is fourth, five points behind Ekstrom. Andreas Bakkerud is third in the championship, two points behind Ekstrom. In Latvia, Bakkerud didn’t pass Semi Final, same as one more top class driver Petter Solberg, who is now fifth in the championship, just a point behind Loeb. Three more rounds are on the calendar (USA, Germany, South Africa). It’s easy to predict that Kristoffersson will secure the championship title in the next round while the battle for the runner-up spot would last until the last race. The Latvian rallycross events was also the last round for Supercars drivers in the European Rallycross Championship. The Latvian driver Reinis Nitiss scored his second win of the seasonin Set Promotion’s Ford Fiesta and won the championship title. He won the title with a 34-point gap ahead of Anton Marklund, who finished third at Bikernieki. Cyril Raymond finished second in Latvian round and third in the championship points.